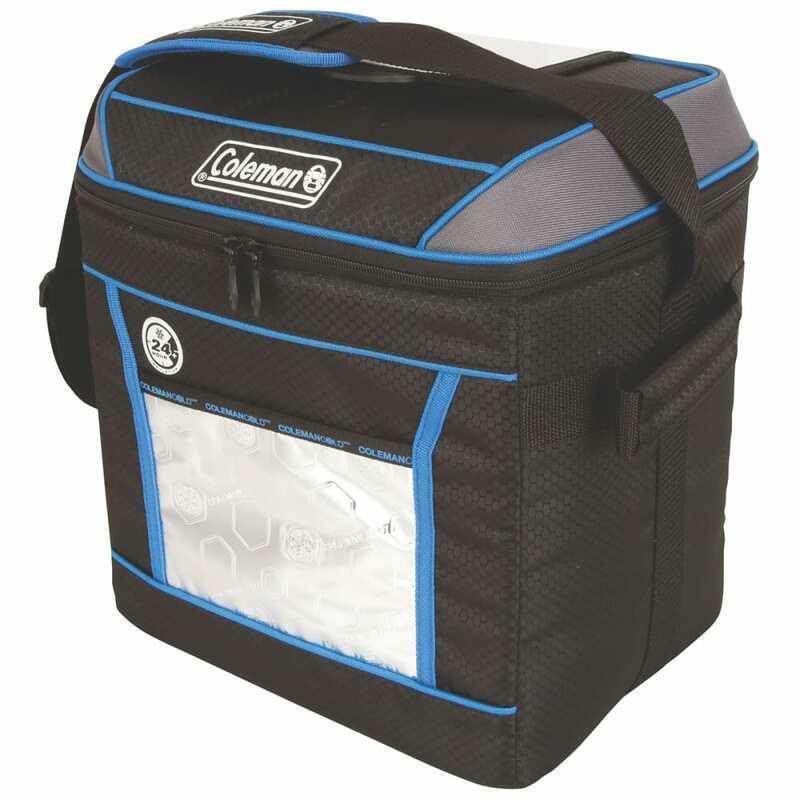 Keep your food and drinks cold for an extended period of time when you bring a Coleman® 24-Hour 30-Can Cooler to the park or the campsite. Extra insulation keeps your items cold for up to 24 hours. The zippered main compartment also helps seal in the cold, while a front pocket lets you store extra snacks. No matter where you go or what extras you bring, an adjustable shoulder strap and side handles make it easy to carry. 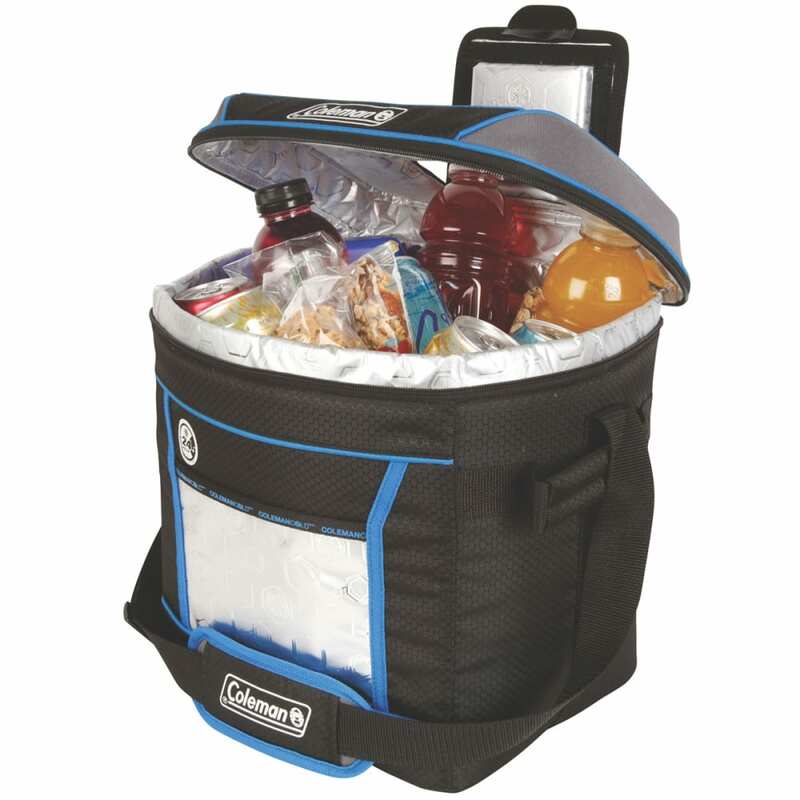 After you've reached the perfect spot, the top hatch in the lid makes it easy to grab an ice-cold drink. Once you're back home, the antimicrobial liner resists odor, mold, mildew, and fungus, making it easy to clean between each adventure.